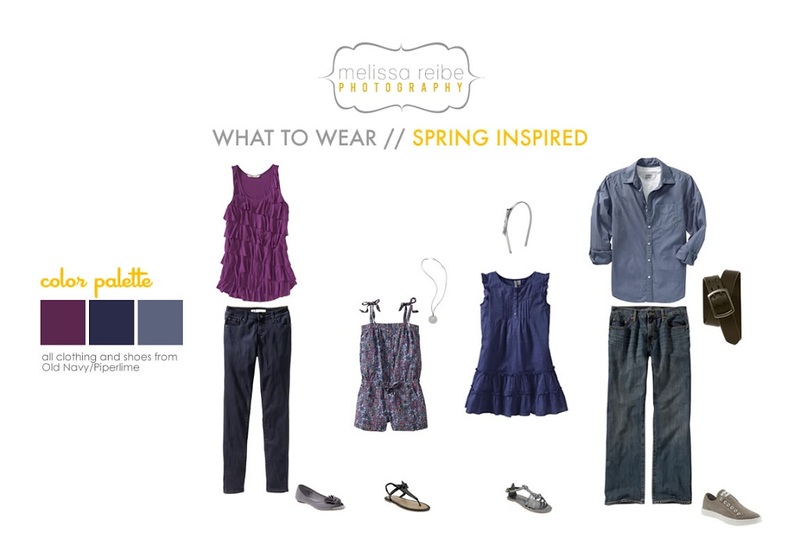 Here’s another what to wear inspiration board! It’s still cold out, and I need it to be warm, so I’m going to start thinking about this weekend and the spring weather that’s coming! So I thought I would try my hand in creating outfits from polyvore.com to maybe help with my sessions…and oh my gosh, it is so hard! I’m not really that fashion savvy anyways, it’s all I can do to just dress myself. But to dress a whole family? HARD. And yes, I know it says Spring and you’re probably wondering why I created my people with sweaters and such, but it’s still cold here in the spring! As for what to wear, I like not too many prints, but some print is okay. I like non-white shirts. I like bold colors. I like people to coordinate, not to be matchy matchy. I like for you to wear what’s comfortable, and YOU. I want you to feel good in what you are wearing, because if you don’t, my camera sees that. I like casual shoots. I like dressy shoots. I like the in between. When trying to figure out what everyone should wear, I usually like to start with one person or outfit, and make that my main focus on colors/patterns/look. So I suggest picking one outfit, and then working around it for the others in the photo session. Can’t decide? Just bring it all, or email me what you have and I’ll pick for you!